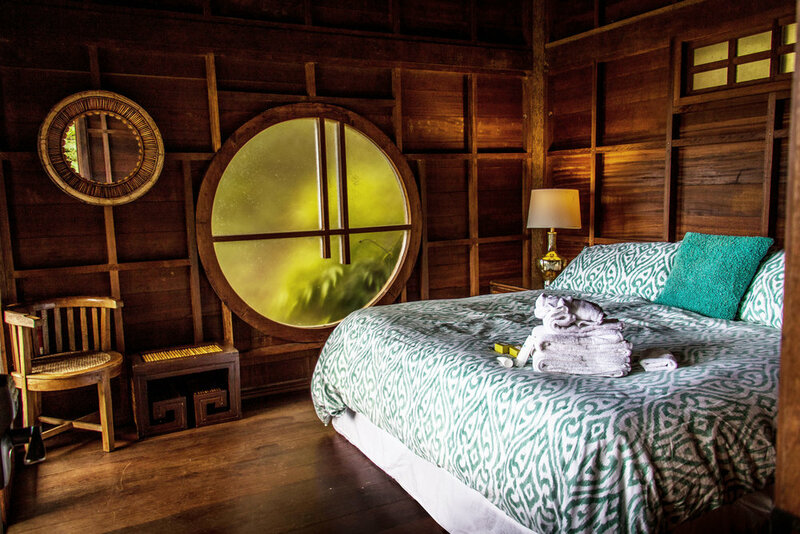 Located towards the back of the property, perched above the valley, is the distinctively beautiful Tree House. Designed on Maui, built in and imported from Bali, this artfully suspended Shangri-La is perfect for a romantic getaway or solitary retreat. An outdoor shower and toilet are located just a few steps up from the bedroom. Minimal zen furnishing adorns the room with a king-sized bed and window to the world. The Tree House includes access to the Tea House: a small, rustic cedar-cabin with full sized bed. Great for extra luggage, meditation, yoga, or just private time in a change of environment. A very basic kitchen, outdoor fire pit and small refrigerator are supplied, so bring your camping-cooking skills...marshmallows could be included.